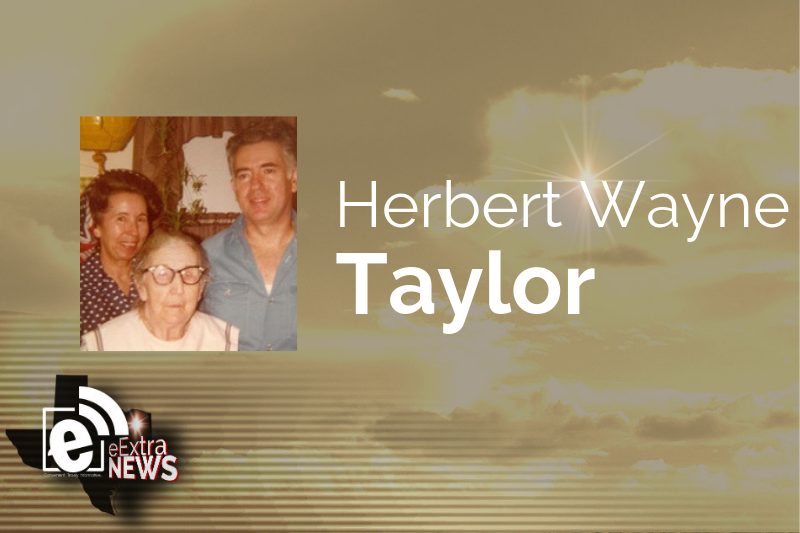 Herbert Wayne Taylor, a resident of Cookville, Texas, passed away in Mt. Pleasant, Texas, on April 11, 2019, at the age of 84. He was born in Rogers County, Oklahoma, on July 21, 1934, and moved to Dallas with his family at a young age. He worked for TRW for many years and after he retired, he moved to Cookville with his sister, Fern, in 2005. He is preceded in death by his parents, Herbert and Bessie Taylor, infant brother, Richard Taylor, sister, Gladys Holland and husband, Lymon, sister, Pear Hayes and husband, David, sister, Marie Johnston and husband, Joe, brother-in-law, Edward Mathis, nephew, Leroy Hayes, niece, Jimmie Lou Phillips and husband, Loren, and niece, Laralyn Holland. He is survived by his sister, Fern Taylor, sister, Martha Mathis, numerous cousins, nieces and nephews, and several great-nieces and nephews. A graveside service will be held at Grove Hill Cemetery at 2:30 p.m., in Dallas on April 14.